Bondi Junction Mobile Locksmiths provide professional locksmith and security services in Bondi Junction and Sydney’s Eastern Suburbs. Please see our service areas for more details. We have partnered with local locksmith companies in the Eastern Suburbs. This allows to provide fully licensed, qualified, insured and experienced professionals for all our jobs. Our partners specialise in locksmith and security projects including repair, replacement, supply, testing and installation. There is absolutely no additional cost to you, or any of our customers in this partnership. However you gain the benefit of receiving the best locksmiths in the area to complete your specific request. Through our website, our partners look after every part of your locksmith and security request. From answering the phone and emails, to carrying out the actual work. Our aim is for you to have a hassle-free experience and receive the highest quality work. Rest assured that our customer satisfaction is of our highest importance. Of course, you are always welcome to contact us to clarify any of these details. To ensure that our high quality of service and workmanship is maintained we are very selective with whom we partner. By setting such a high standard we aim to deliver only the best locksmith and security service in Bondi Junction and Sydney’s Eastern Suburbs. 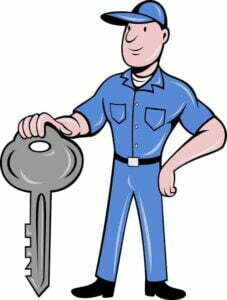 If you are considering a locksmith or security service from us you may use our quick quote form. To fully understand your requirements we may call you to discuss the finer details and in some cases we may request some photos. Either way we will be in contact with you quickly either by phone or email to provide your quote or to seek further information. There are absolutely no obligations to pay for our services when you contact us or request a quote. However we hope that we can turn you into another one of our very satisfied customers. We look forward to working with you soon. For reliable, efficient and competitively priced locksmithing services contact us today.